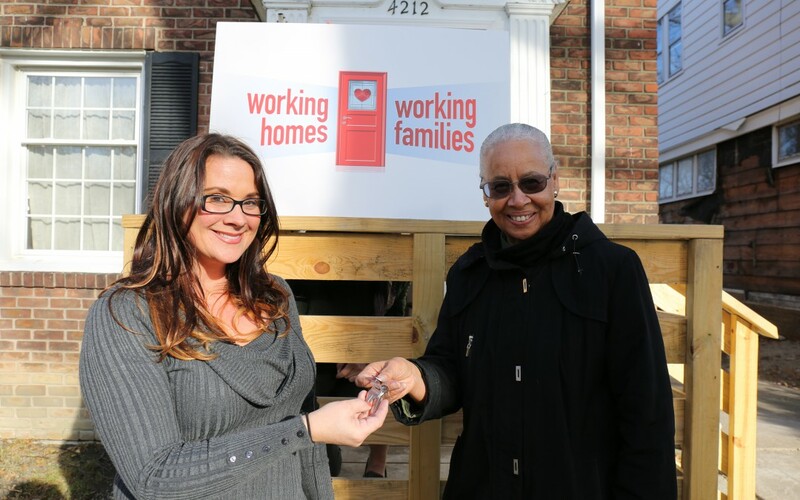 DETROIT – Nikki Browder was tearing up long before Barbara Willis, chief operating officer of the Detroit Rescue Mission Ministries, officially handed her the keys to her new home – thanks to Mitch Albom’s S.A.Y. Detroit Working Homes/Working Families charity. 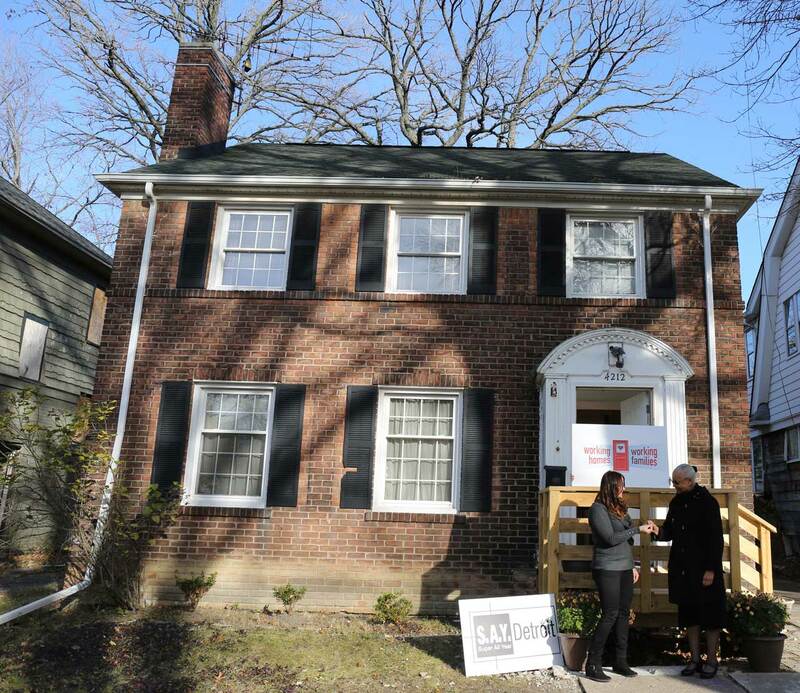 Twenty-minutes later, in a similar ceremony in front of another refurbished home on the same block, Tabitha Mendez’s emotions were equally as visible Friday afternoon. Today’s event marked the second and third houses awarded on Courville Street this year from Working Homes/Working Families. Three more families are due to be given homes on the street by the end of the year. 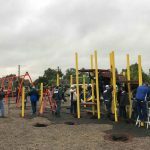 Albom’s effort to rebuild six homes in the east side neighborhood — praised by Mayor Mike Duggan at a front-yard media gathering in June — was strengthened when S.A.Y. Detroit and the Detroit Rescue Mission Ministries teamed up with the Cooper Standard Foundation and Dow Eastomers. 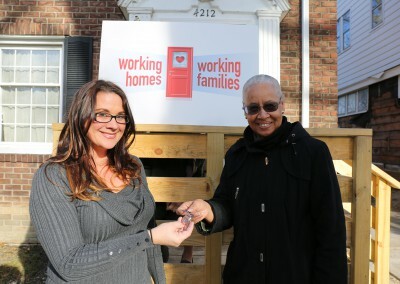 It marked the first time that Working Homes/Working Families has partnered with other entities to rebuild homes. City Flooring refurbished the hardwood floors in the houses. 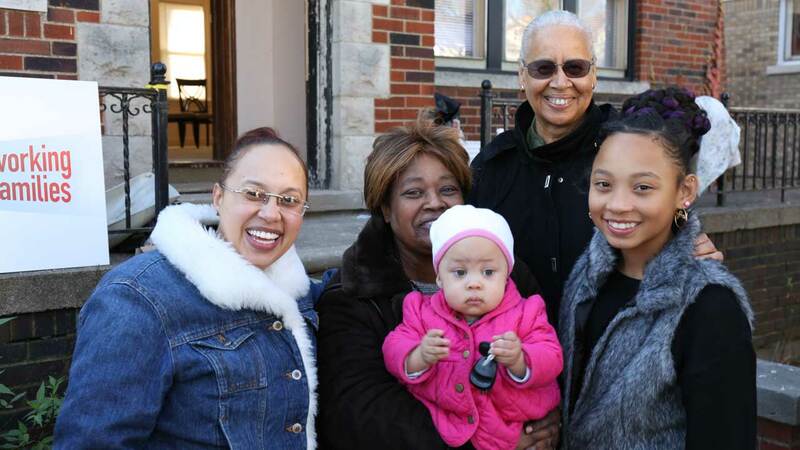 Before smiling for the cameras alongside her two young children and mother, Browder, 34, said she can’t wait to cook Thanksgiving dinner to celebrate being a first-time homeowner. 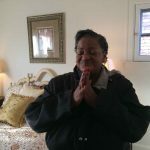 Browder, who works as a monitor/resident specialist at DRMM, had been living on the floor of her sister’s home with her family for the past year. 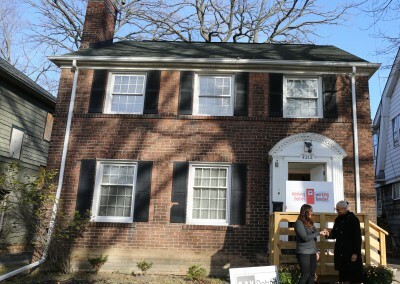 Since October 2011, more than two dozen families have received a fully refurbished Detroit house through Working Homes/Working Families. As long as they maintain the home and pay the utilities and property taxes for two years, the title will become theirs. Tabitha Mendez (left) officially being handed the keys by Barbara Willis, chief operating officer of the Detroit Rescue Mission Ministries. 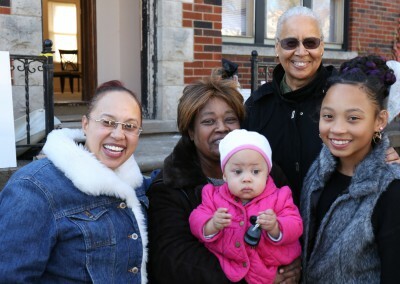 Nikki Browder (left), her mother Delores Browder (holding Nikki's daughter Bailee), and daughter Brooklyn.